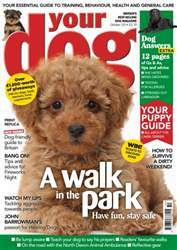 A walk in the park — join new YD contributor and trainer Tony Cruse as he explains how to stay safe and have fun while out and about with your pet. 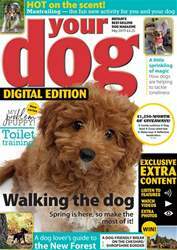 Check out our new series of dog-friendly guides. 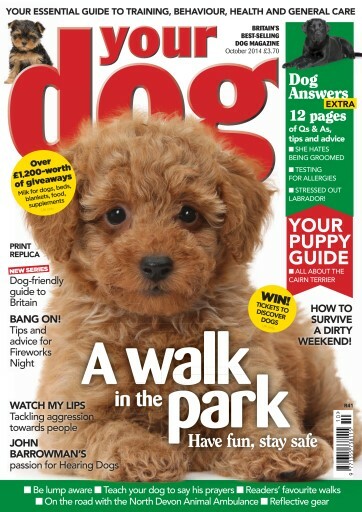 This month we’ve been discovering the best places for dog-lovers in Norfolk and Suffolk. Teach your dog to say his prayers. 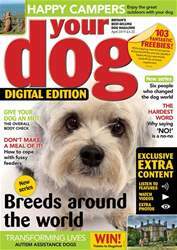 Aggression towards people can be one of the trickiest behaviour problems dog owners face. Top trainer Carolyn Menteith and legal expert Trevor Cooper advise. Meet Mr Mischief, the lively and affectionate Cairn Terrier. Bang on! Prepare your dog for Fireworks Night. 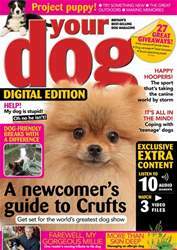 Entertainer John Barrowman explains all about his passion for Hearing Dogs and how he went deaf for a day. Tried and tested — gilets for dog walking. From the fields of Lincolnshire to the beach at Ardnamurchan, readers and contributors share their favourite walks. 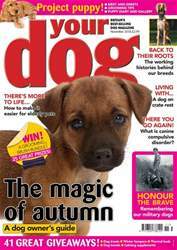 All this and more in the October issue of Your Dog Magazine — out now!